Do you suffer from Float Pan-Itis? If you’ve read any of the boating rescue news articles we’ve run recently on the Daily Boater, you’d know that many successful rescue missions are initiated when a friend or family member notifies authorities that the boaters in question did not return when they were supposed to. What do you think the Coast Guard will ask them next? 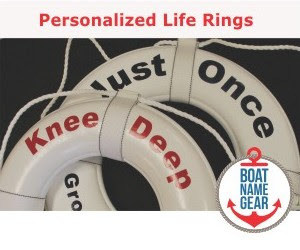 Usually it’s something along the lines of, “when and where were they boating?” Knowing where they shoved off from and what time they left the house may not be enough information to save a boater's life. 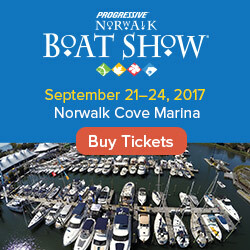 In today’s edition of Boat Tips at the Powerboating Blog on About.com, Ericka Watson reminds us that there is nothing to fear in filing a float plan – it doesn’t have to be a complex, formal document, and it could save your life. The basic concept is to let someone who is staying on land know where you are planning to boat, and when you are planning to return. 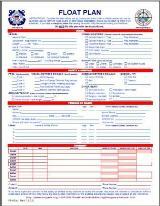 Honestly, even the Coast Guard float plan form that we have available on the boating safety page of FirstBoat.com looks overwhelming at first glance (view printable PDF of float plan). But at its core the form is simply a way to let a friend know where you’ll be boating, who will be with you, and when you will return. This basic information can save your life and the lives of your passengers. Next time you head out on the boat, make sure you file a float plan and, as always, boat safely.